I can't believe it's almost Christmas! Wasn't it Thanksgiving just the other week? This year I'm doing the traditional roasted turkey for Christmas, but the real fun will be Christmas Eve and the Feast of the Seven Fishes. I did a test run of branzino last night - it came out perfectly - the picture above was taken while I cooked. I don't know if I'll actually do all seven fishes, but I'll have at least a few. 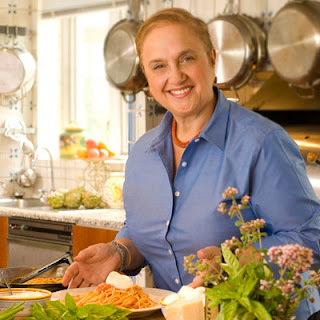 I'm going to get inspiration tonight from Lydia Bastianich. 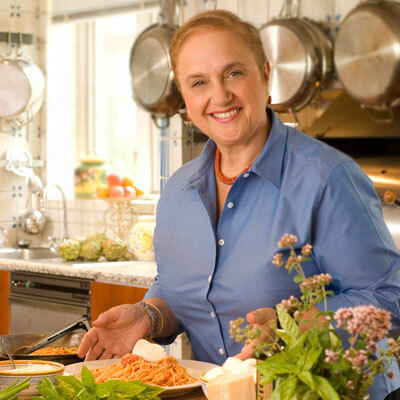 She's doing a special Lidia's Italian Kitchen episode tonight on the Feast. I'm going to be watching and gathering ideas. But I can predict mussels will also be on the menu and maybe shrimp. Lidia's show airs tonight on Public Television - in NYC it's channel 21 at 8 o'clock PM. Tune in with me!